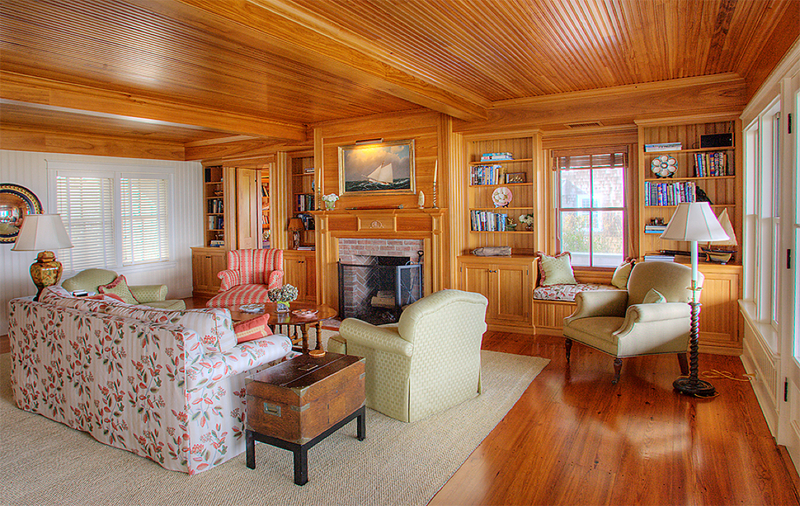 How wonderful to arrive in this beautiful room for a Nantucket holiday. The lumber is virgin Cypress, from timber salvaged after a hurricane rampaged through the Great Dismal Swamp. Bookcases, paneled pocket doors, window seats, and fireplace surround were designed to integrate seamlessly, in this interior by Bentley and Churchill, Architects. Our shop’s commitment to the details of our craft, combined with the general contractor’s dedication to comparably high levels of workmanship, produced this beautiful example of classic Nantucket understatement.